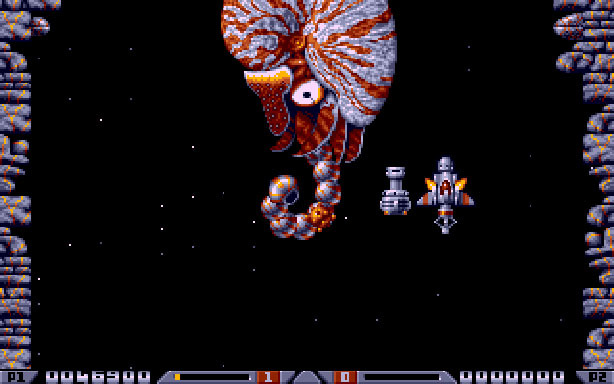 The pimple-faced Call of Duty pros among you might not remember the Bitmap Brothers, but for the gnarly gaming veterans who grew up with early PCs, Amigas and Atari STs, the frantic top-down action of The Chaos Engine and the storming Xenon 2: Megablast soundtrack will always provide pleasant reminiscences. The British game studio tackled everything from real-time strategy through shoot 'em ups and platform games, but then it all seemed to stop when the company closed in 2004. 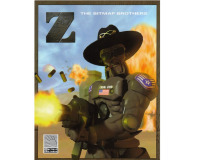 Then, just a couple of weeks ago, a remake of the Bitmap Brothers' acclaimed robot-themed RTS Z was announced, complete with original cutscenes. Not only that, but the Bitmap Brothers was cited as the developer of the project, and Peter Harrap (of Gremlin Graphics and Monty Mole fame) had been drafted in to handle the programming. Meanwhile, the studio's iconic sci-fi sports game Speedball 2 has been going down like a spoonful of Super Nashwan Power in the iPhone app store. Will we see The Chaos Engine on the iPhone, and will there ever be a Xenon 3? We caught up with the MD of the Bitmap Brothers, Mike Montgomery, to find out what's going on. Bit-Tech: Z: The Game is now being remade, and it carries the Bitmap Brothers name, even though the company is listed as defunct. What's going on with the Bitmap Brothers at the moment, and what's your role? Mike Montgomery: The Bitmap Brothers is still trading, but it's trading in my own name. I own all the IP, and I'm looking at putting all the IP – the lot - on various different platforms at the moment. BT: So we could see Xenon 2, Chaos Engine, Magic Pockets – all that kind of stuff - again? 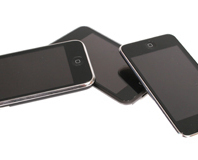 BT: Is it all going to be on mobile platforms? MM: It'll be on all sorts of platforms – I'm looking at any platform on which I can get somebody to publish it. 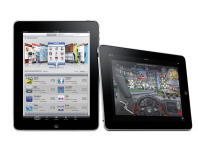 We're looking at iDevices, we're looking at netbooks, we're looking at Sony Minis, we're looking at PSP. We're looking at anywhere there's a market where we can make a bit of money – we certainly cover our development costs, let's put it that way. BT: Does that mean we'll get Steel Soldiers as well as Z? MM: Yeah, I hope so. It will depend on sales of Z to an extent, but we'll do it if we can cover the development costs. BT: Are there any plans for future Bitmap Brothers sequels – maybe Xenon 3 or Chaos Engine 3? MM: Possibly in the future, but not at the moment. I don't have a development studio – everything's done out of house. In terms of the Bitmaps – I'm the only one at the moment. 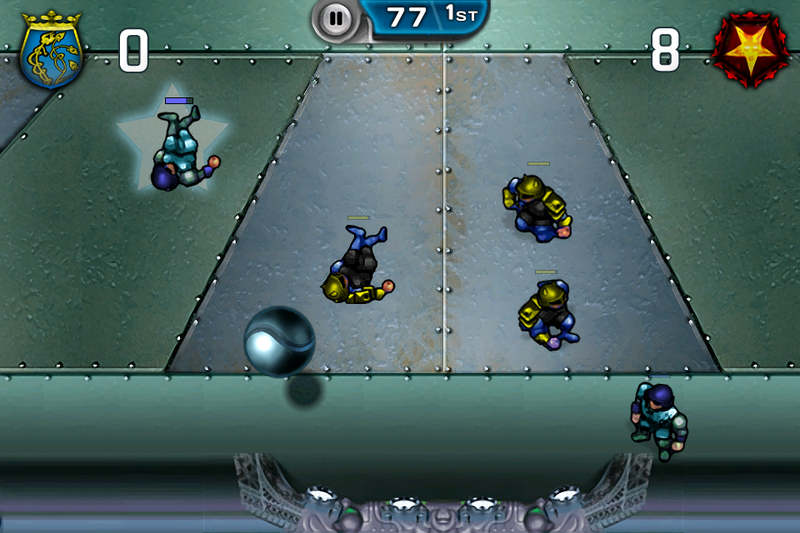 BT: Speedball 2 has already come out for the iPhone and iPad. How has that been selling? MM: Let's put it this way - for a period of time it was number 1 in most countries, and if it wasn't number 1 it was in the top 5. BT: Following that success, are there any plans to put Speedball 2 on other platforms, such as Android or Blackberry? MM: I'm not sure about Android. The problem with Android is that everybody wants games for nothing, and they don't want to pay anything. Why should we spend money on something when we're not even going to recover our costs? Android's a very difficult one, because it seems like it's a free market. I don't know if there's a lot of piracy – there probably is. And if it's not commercially viable, then why bother? We're not in this business to give things away. If we can't cover the development costs, and if we're not making a profit, then what's the point? I might as well give my money to charity. A reworking of the much loved RTS Z is in the works, courtesy of Kavcom.